Aivo Roos: "I would dive after my favourite Vilsandi Võtukas"
Aivo Roos is well known fishing enthusiast from Saaremaa, Estonia – friendly and practical minded. He knows how to boost his fishing luck with high knowledge about fishing. We decided to have a little chat with Aivo. We ask Aivo’s opinion about our lures. “Handcraft is handcraft! 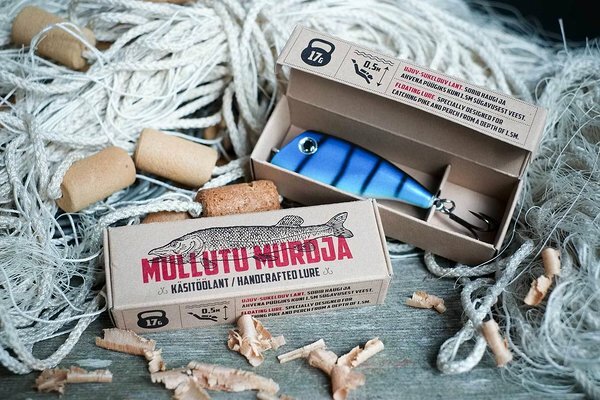 These are true and trustworthy lures, made from real wood, not plastic! I love my purple-green (lilla-roheline) Vilsandi Võtukas so much that if necessary, I’d be willing to dive after it." Aivo also mentions that among his fishing buddies Estlant is well recognised and almost everyone has them. One of his female acquaintances uses Mullutu Murdja as unique pendant for her necklace. “These lures really look exceptionally nice”, Aivo chuckles. Althought Aivo’s favourite lure is Vilsandi Võtukas, he points out that Mullutu Murdja has ability to catch nice perches. He’s personal record is 1.2 kg. This is something that we can agree. We wish Aivo good luck and promise to meet up in the future. This lad has a lot tips and tricks to share. 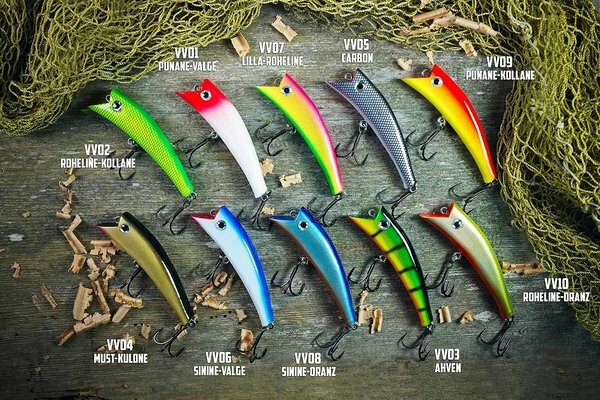 Read more about Aivo’s favourite lure! Want a free lure from Estlant? Catch something exceptional using some of our products. Contact us (estlant@estlant.ee) and tell your story. Be sure to make nice pictures of your catch! As a prize, we will name you Estlant FISHING GURU and promote your story on our homepage. We also send you our products so you can continue breaking those fishing records. Viljar Vester: "Mullutu Murdja is a true day-saver"